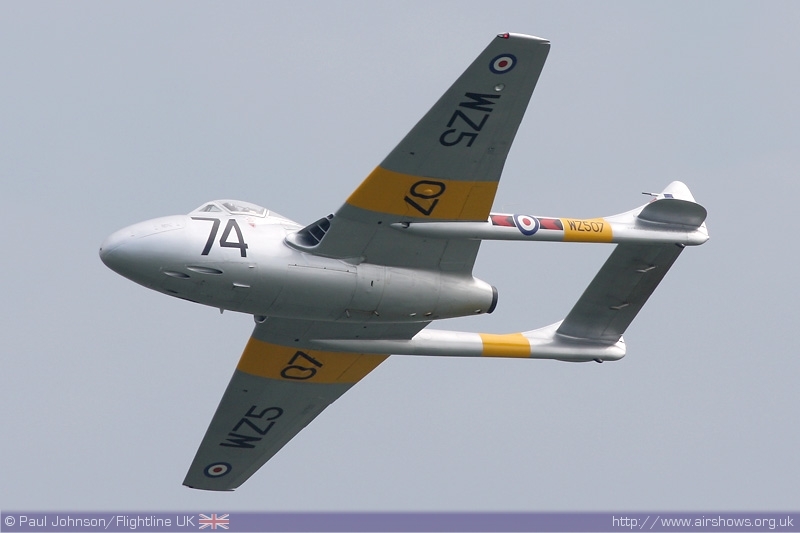 The past two years have been very difficult ones for the Southend Airshow or what is now known as the Festival of the Air. Two years on the trot were nearly wiped out by awful weather and 2008 was the last year of a major sponsorship deal. 2009 needed to be different. 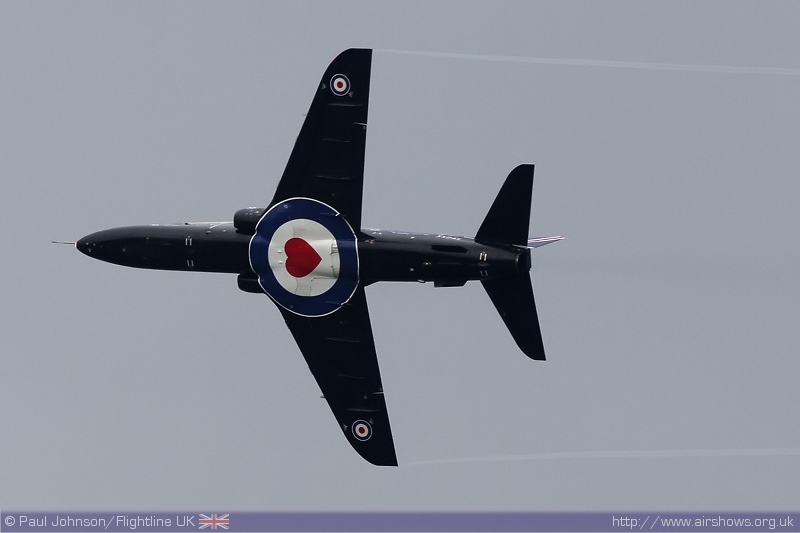 Paul Johnson/Flightline UK reports from the Essex Coast from the first major seaside airshow of the year. Photography copyright of the Author. 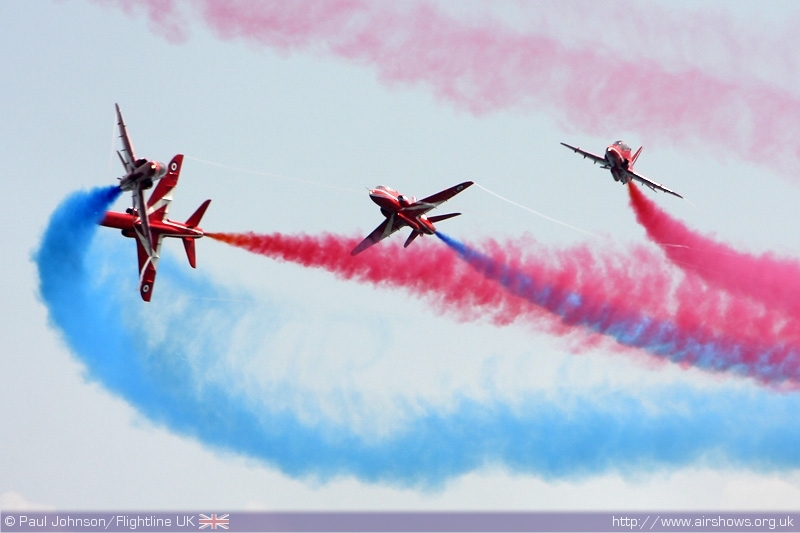 2008 was a particularly bad year for the Southend Airshow. Throughout 2008, unpredictable bad weather cast a shadow over most shows, but almost wiped out Southend. Sunday saw the most flying before the weather closed in and stayed for all of the Monday. This hit crowd numbers particularly hard - never had it been so easy to park up close to the seafront!!!! After the show, it was announced that a major sponsorship deal with the local Casino had come to the end and that no one had come forward to fill the gap. 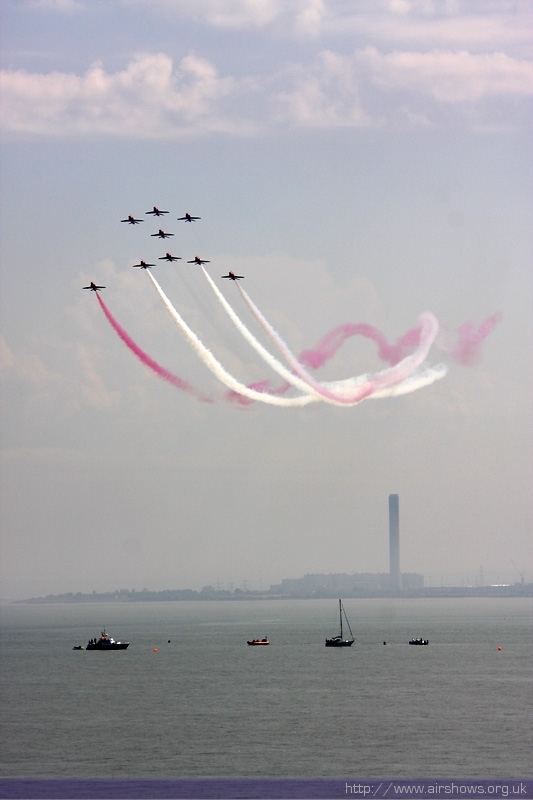 For 2009, the airshow was rebranded "Festival of the Air" to reflect a number of new "festivals" being run throughout the summer season in Southend. 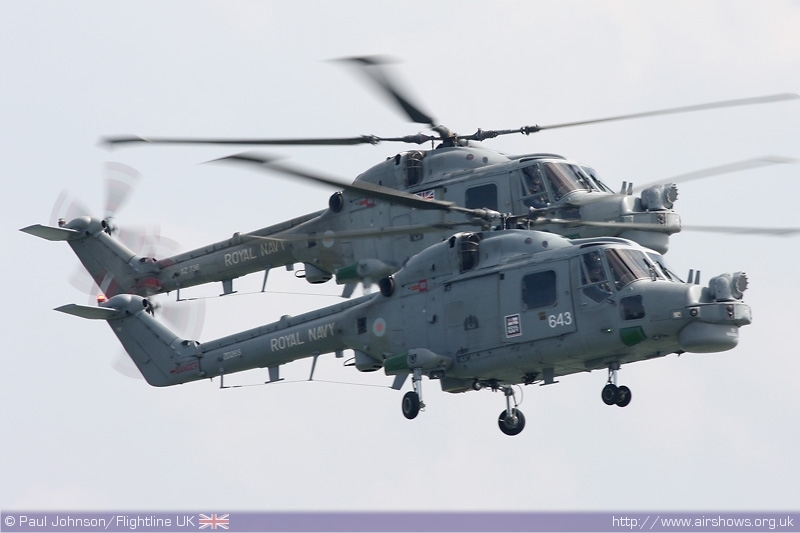 The smaller budget also meant that the flying display became smaller and much more focused on military displays. Military displays are generally cheaper than their civilian counterparts and arguably have more impact a the seaside shows so it was unsurprising to see far fewer civilian participants on display tis year. 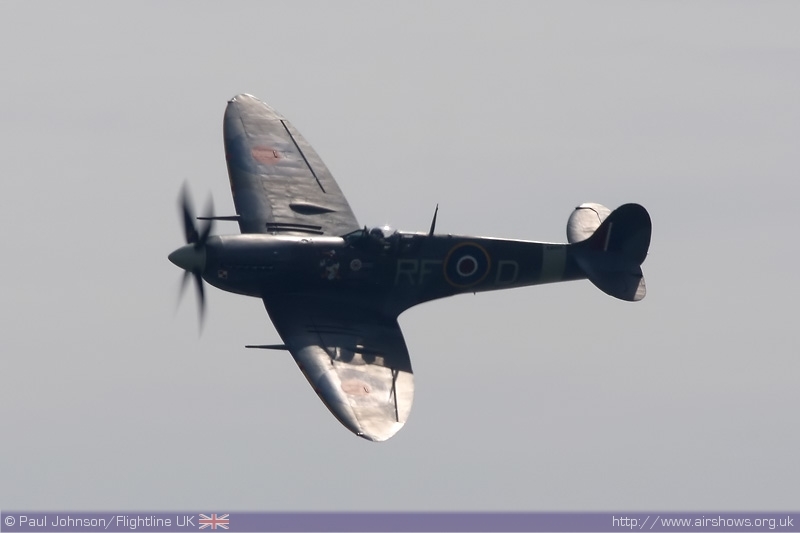 Thankfully, the weather this year was also on side with blue skies thoughout much of the weekend and the thunderstorms arriving only after the flying displays had been completed. Southend's a unique venue being on the coast of the Thames Estuary looking out on to the Isle of Grain and Gravesend. The Southend coast also boasts the world longest pier which was open for the first time for a number of years during the airshow weekend. 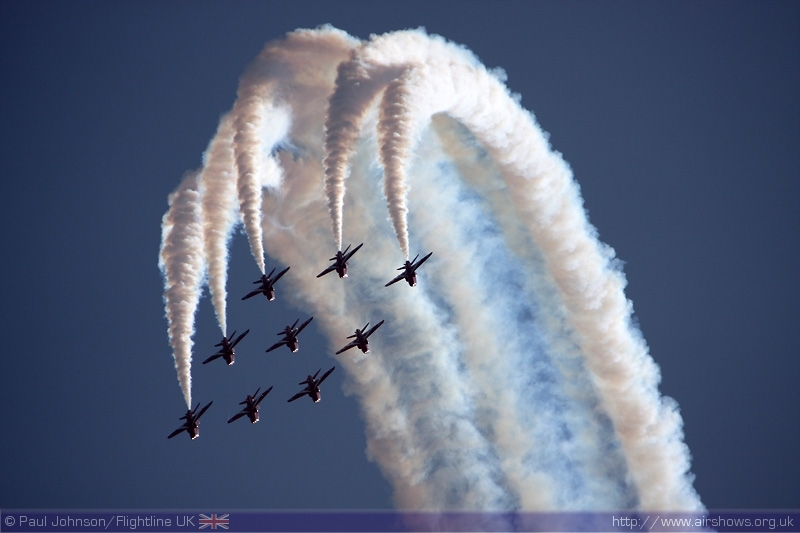 The Red Arrows made their first UK display appearance for 2009 at Southend. The 2009 display has seen some really rather neat innovations over the 2008 display. 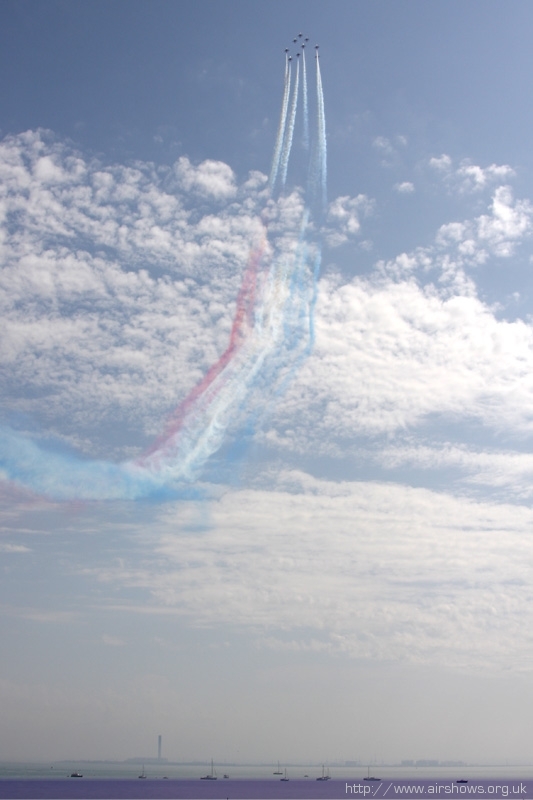 Unlike 2008, the Reds were able to complete two full displays under the warm blue skies to kick off their busy season of displays. 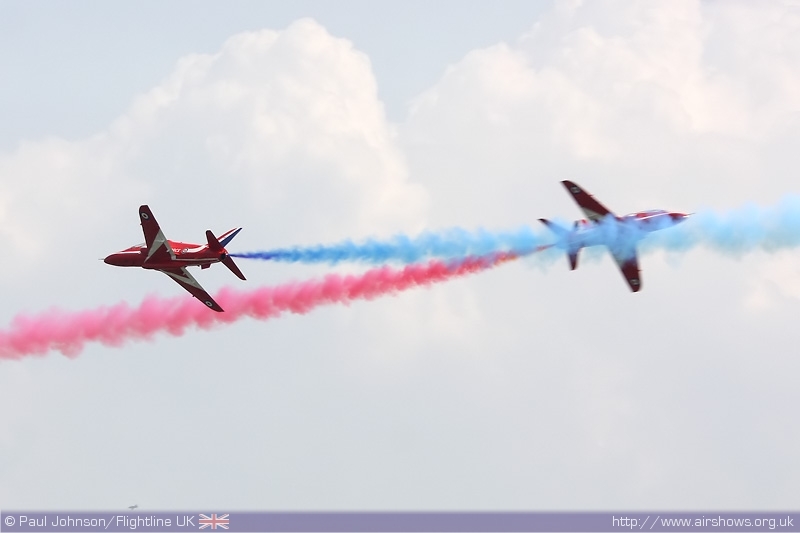 Joining the Reds were the RAF's other two display teams. While the Falcons Parachute Display Team were able to complete a full dislay on the Sunday, the lack of rescue cover on the Monday following a RNLI hovercraft became stranded on a groyne meant no display was possible. 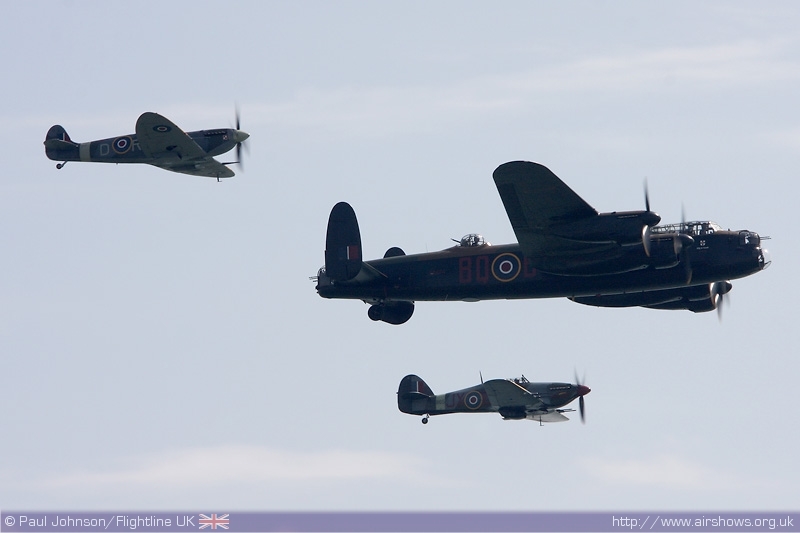 The Battle of Britiain Memorial Flight also displayed with their standard display of Spitfire V, Hurricane IIc and Lancaster B1. 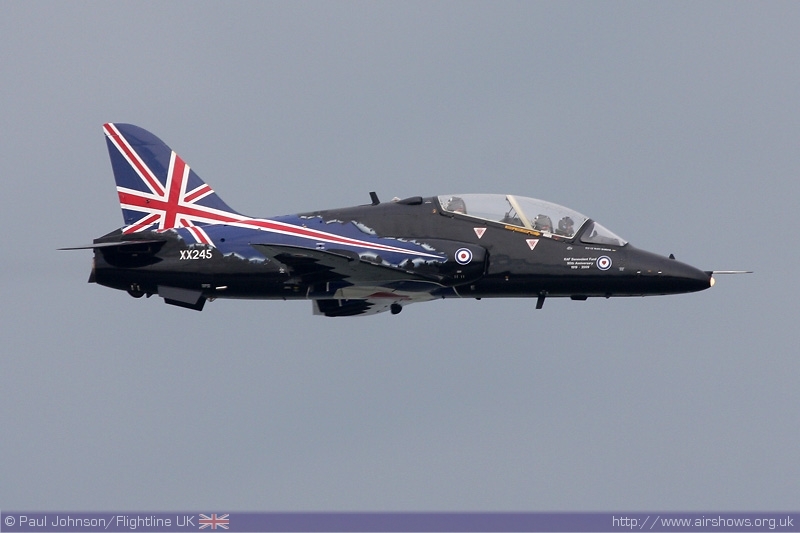 All of the RAF solo displays for 2009 were present at Southend. 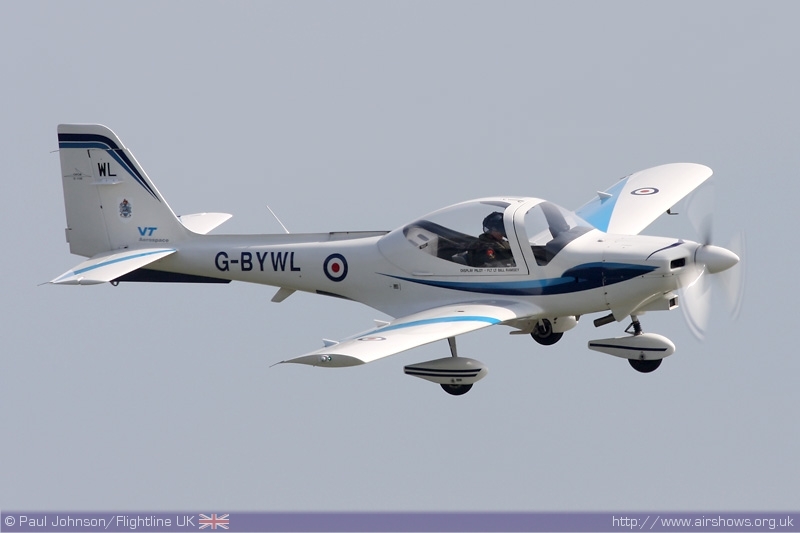 Flt Lt Bill Ramsey gave a good account of the Tutor T1 as did Flt Lt Matt Barker in the Hawk T1. 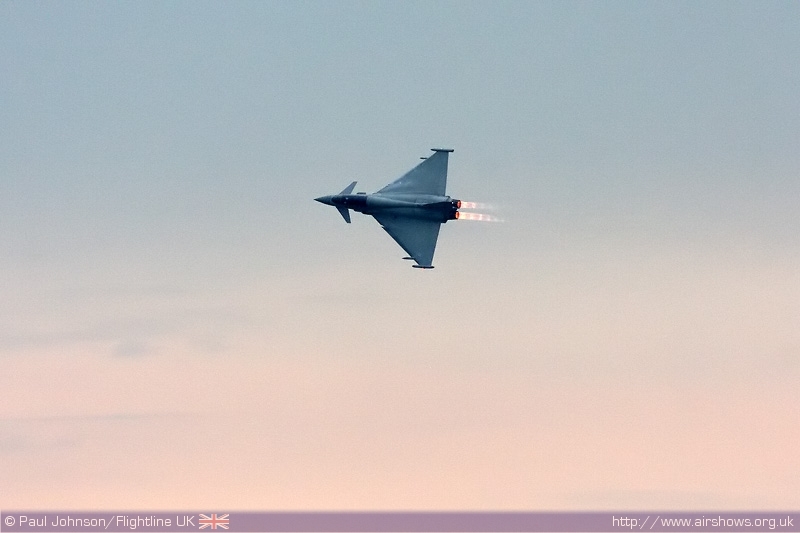 Star of the weekend though was the Typhoon F2 from No 29(R) Squadron and flown by Flt Scott Loughran. 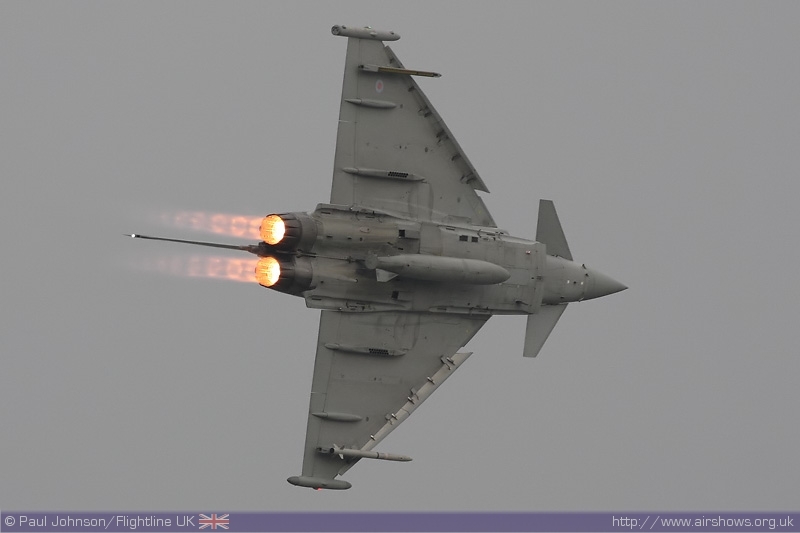 Sunday saw conditions perfect for a full display. 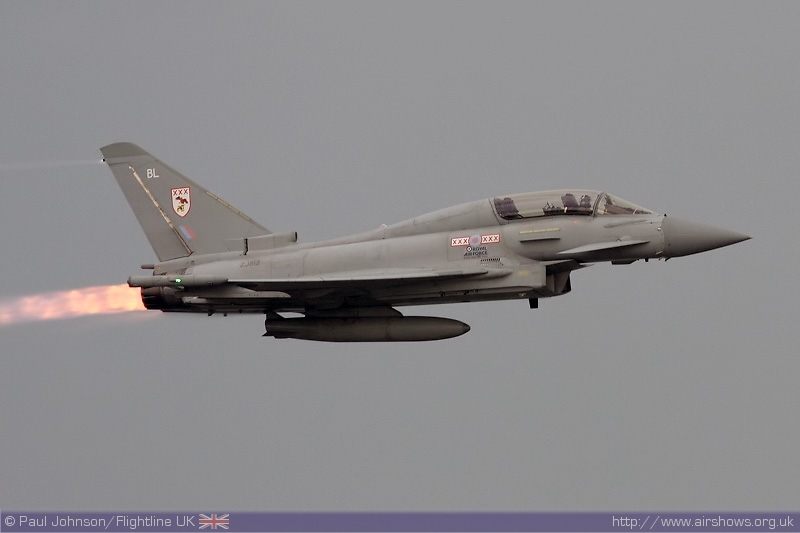 However, Monday's dramatic dark and stormy cloudscape brought an added dimension of drama to Scott's display as the reheat lit up behind the jet! 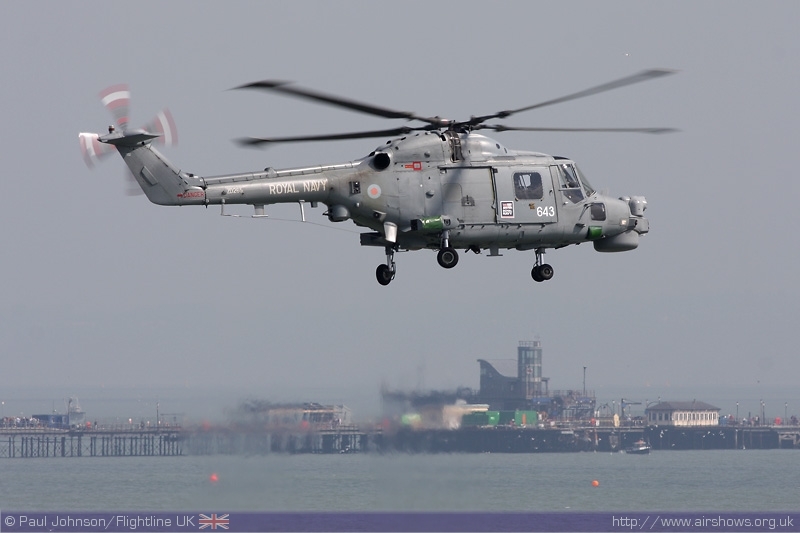 Though there were no displays by thr Army Air Corps, the Royal Navy did provide the Black Cats Display Team flying a pair of Westland Lynx HMA8 helicopters. 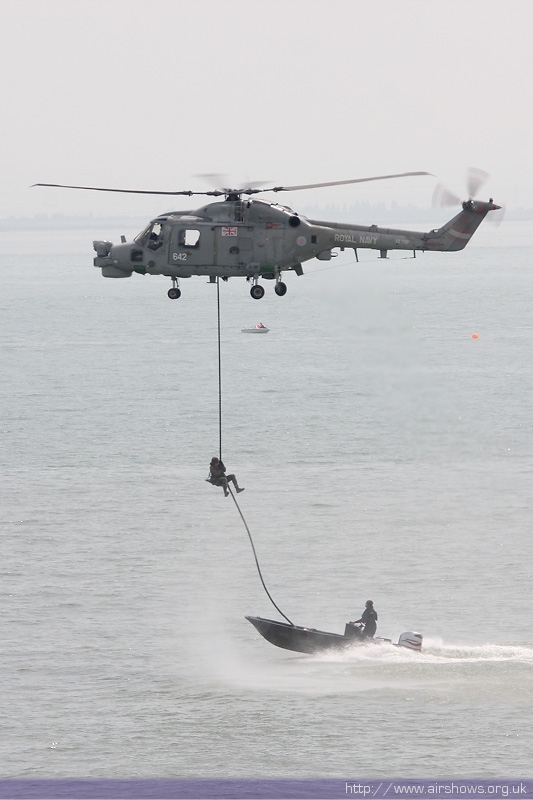 One of the team appeared right at the beginning of the flying programme in a Royal Marines Commando demonstration of fast roping and hostage rescue. Like the Red Arrows, the Black Cats have made significant changes to their 2009 display with a crowd rear arrival and several other twists. 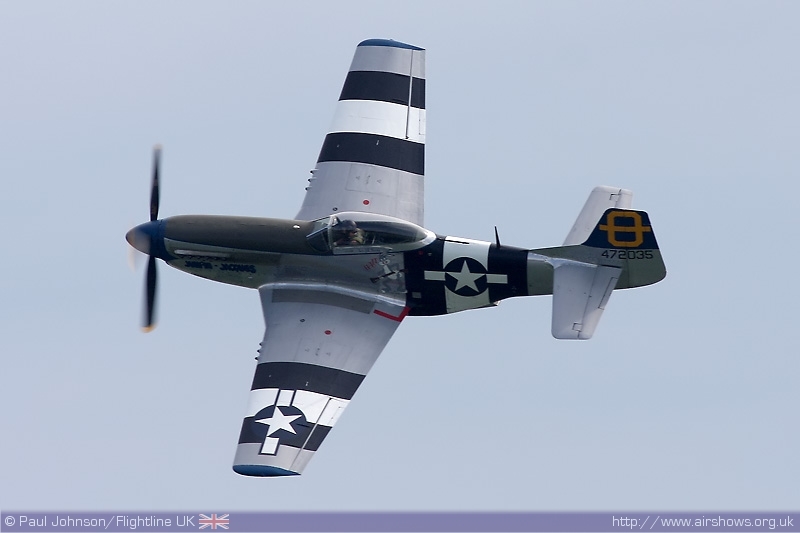 The only civilian warbird in the display was Peter Teichman's P-51D Mustang from North Weald. It had been hoped to link up the P-51 was the Dutch B-25 Mitchell, but the latter went unserviceable a week before the show leading to a very late booking for the Vampire Preservation Group's Vampire T11, also from North Weald. Also flying in from North Weald were the Gnat Display Team. 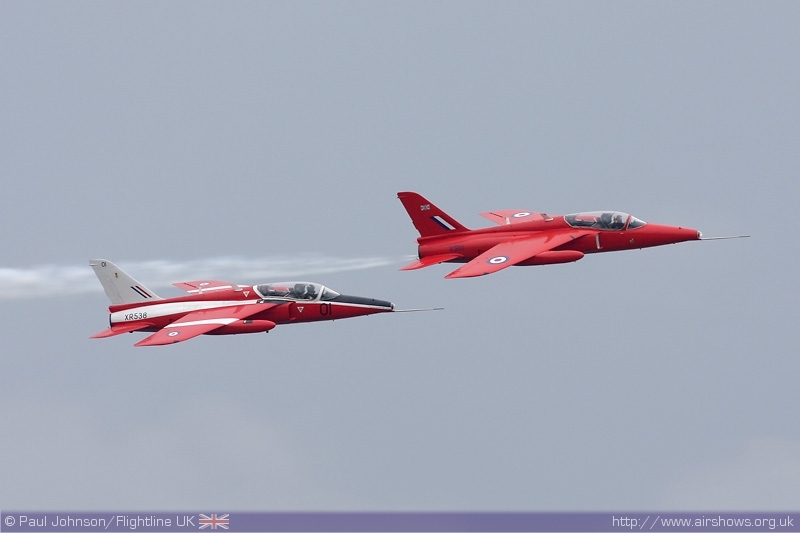 The team flying pairs and solo aerobatics in the diminutive jet trainers. The team have already lined up an impressive list of display commitments for year and are a popular addition to the circuit. 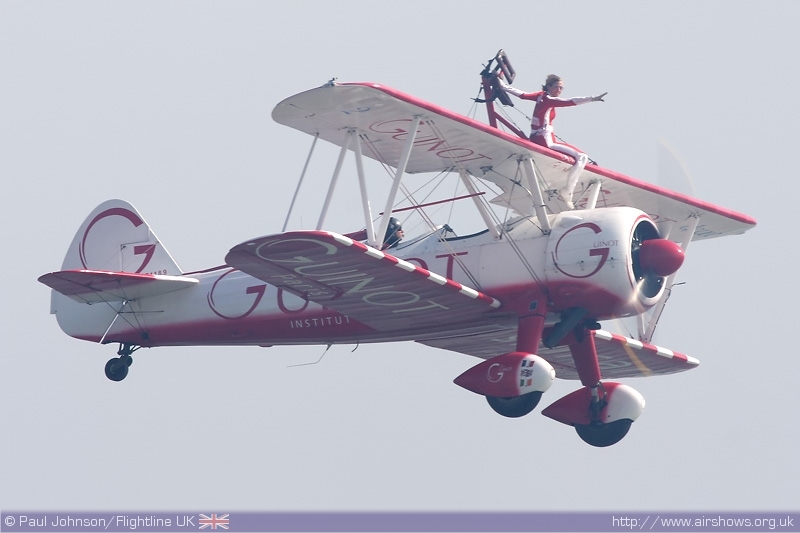 No seaside show would be complete without an appearance by the daring wingwalkers of Team Guinot. 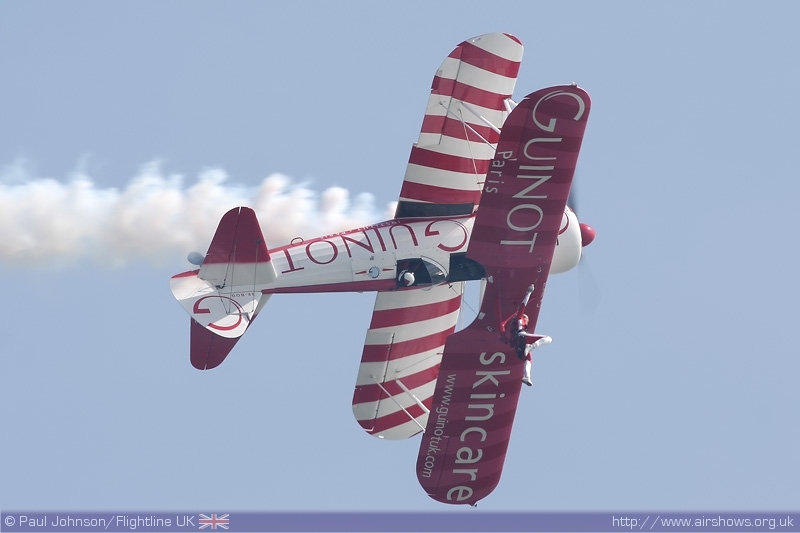 2009 marks the final year of Guinot sponsorship for Vic Norman's team and the team are as busy as ever with appearances thoughout the UK and Europe. 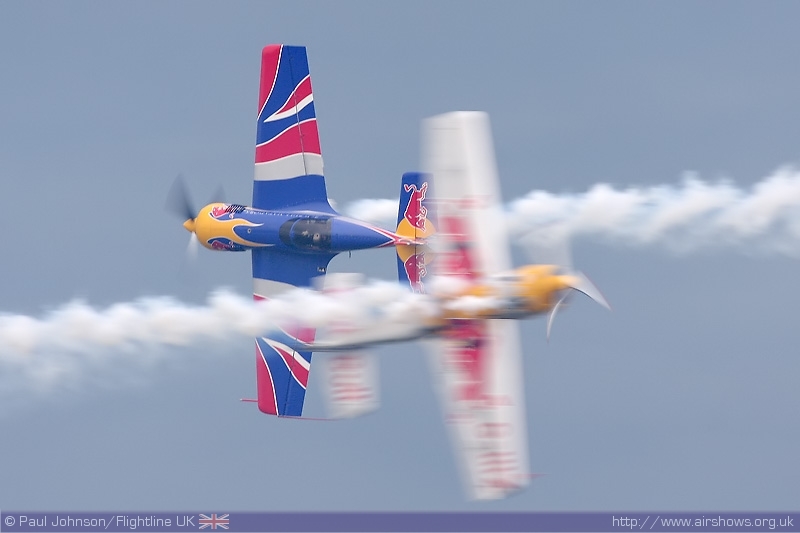 At Southend the team appeared as an unusual three-ship display with some solo aerobatics over the more usual duo display. 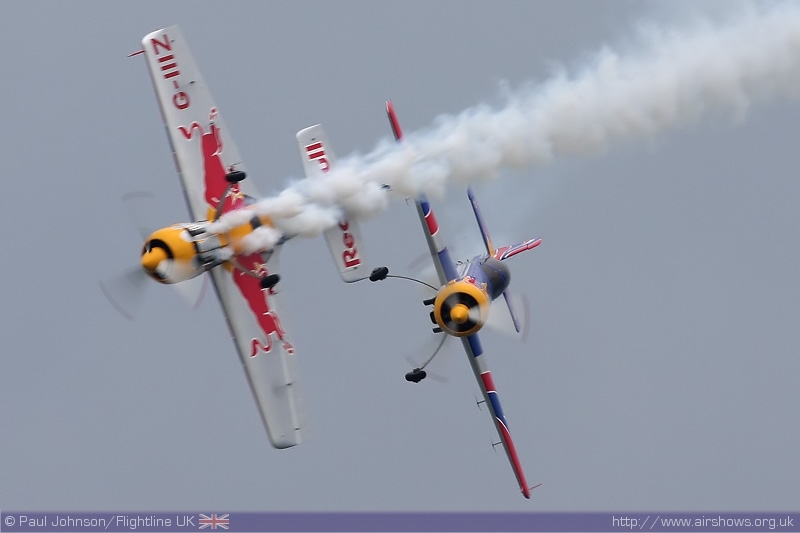 A team making a welcome return to the Southend Airshow were the Matadors. 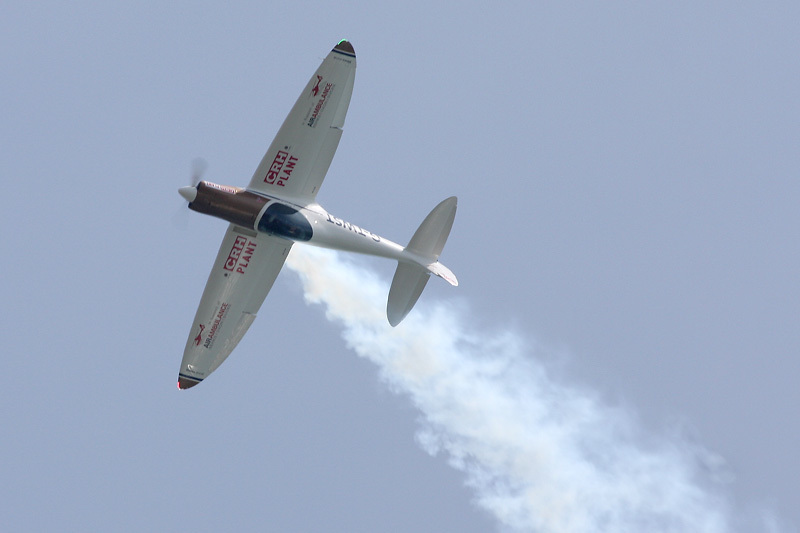 Paul Bonhomme made his return to display flying following a back injury sustained during a Red Bull Air Race to display alongside Steve Jones. With few Air Races in 2009, we are going to see much more of Matadors during the season. 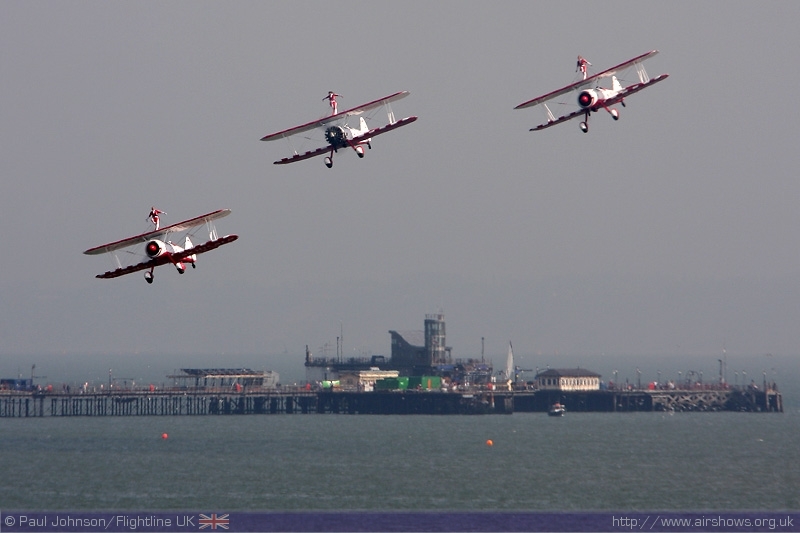 A team making their Southend debut were the Swift Aerobatic Display Team. 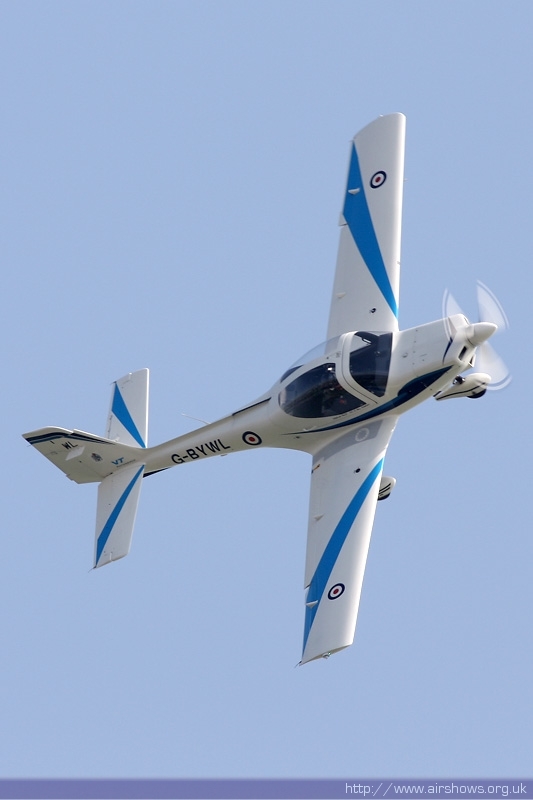 The unusual sight of the S-1 Swift glider being aerotowed over the Thames was certainly unique, but due to the distance between the display area and the airport, the glider couldn't be released from the Pawnee tow aircraft leaving the Twister to provide the solo aerobatics. 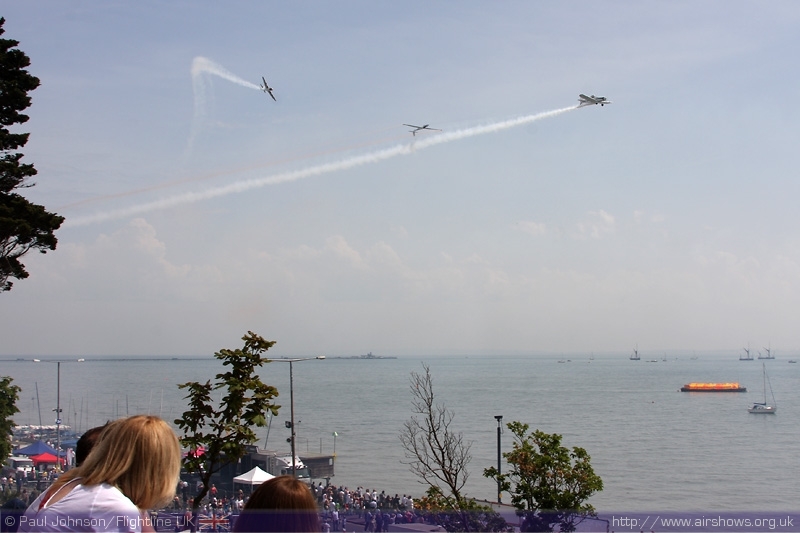 The air displays may have been shorter, but the show still proved to be as popular as ever with extremely large crowds on Sunday and traffic queuing for several miles to get into Southend thanks to the good weather. Despite less budget to play with, Display Director Dave Walton managed to put together an enjoyable and varied display which was perfect for the coastal venue. Hopefully, Southend will be back bigger and better in 2010!